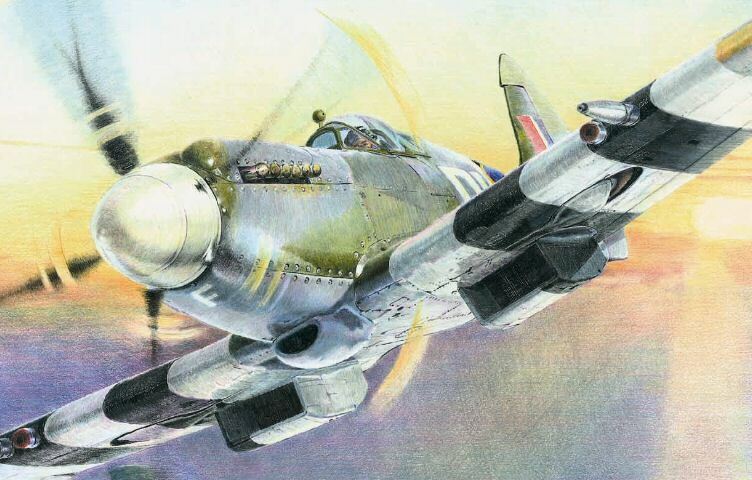 Another artwork by Pavel Rampír, Czech aviation artist and an illustrator of the Revi aviation journal. His drawing depicts a Spitfire Mk. 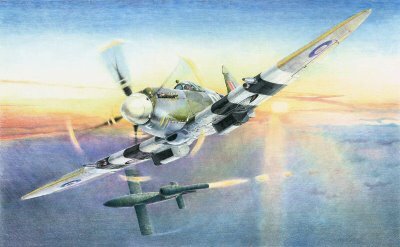 XIV in combat with the V-1 flying bomb at the early morning hour during the Summer of 1944. Many pilots fighting the V-1s preferred to fly during an hour before dawn, when the glare of the jet efflux made their targets easily discernible against the dark terrain.